I’m a big cheesecake lover! So anything with cheesecake makes me drool and get weak in the knees. These little nuggets are delicious and beautiful at the same time! It’s always a bonus when you can have individual servings for your guests. They are quick and easy to make but look like spent hours slaving away in the kitchen. Cut the tops of the apples off and scoop out the insides. Throw away the middle. In a bowl, cream together the cream cheese, and sugar until smooth and creamy. Add the vanilla, egg, and cinnamon until mixed well. Fill each apple 2/3 full with the mixture. Put each filled apple onto a baking sheet and sprinkle the graham crackers and pecans on top of the apples. Make sure the apples aren’t touching each other and bake for 25 to 30 minutes or until the cheesecake filling is set. Once done, place them onto a serving plate and let completely cool. 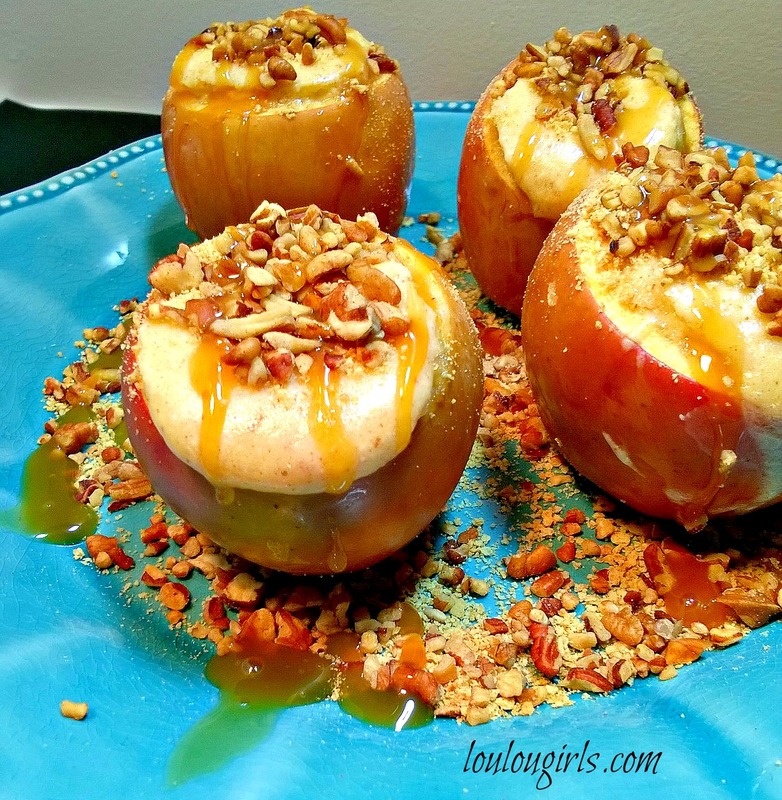 Drizzle caramel onto the apples. 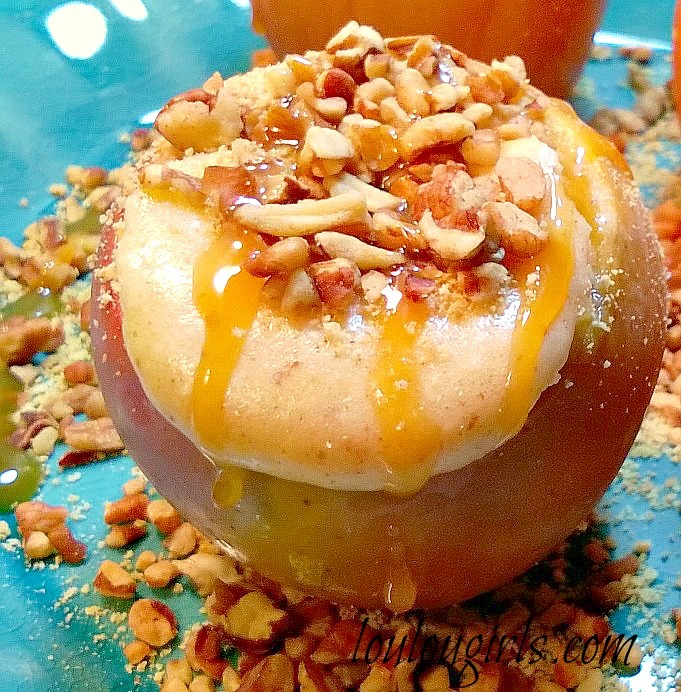 This sounds like the perfect fall treat to make when we have guests- thanks for sharing! Oh sounds yummy! Pinned & shared. thanks for joining the Inspiration Spotlight party. 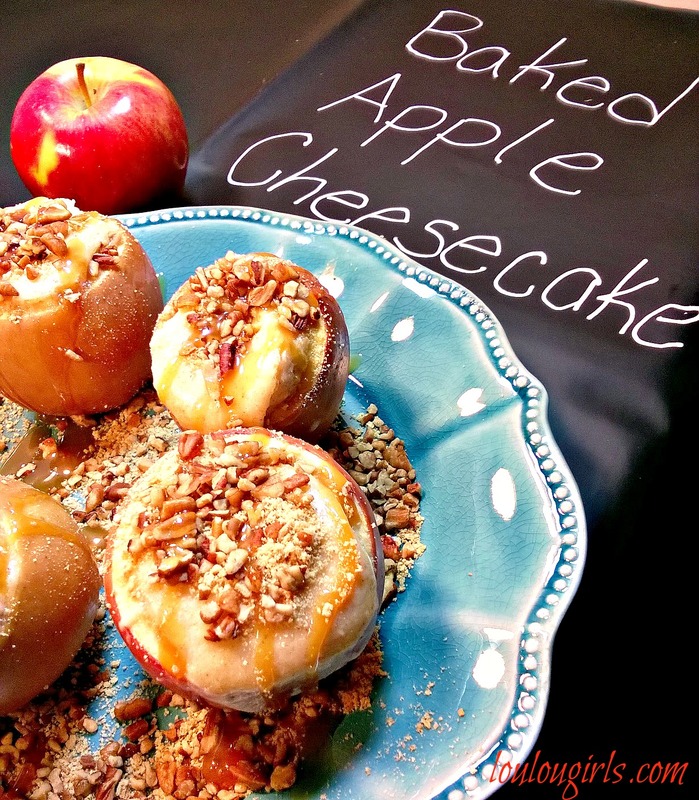 Your Baked Apple looks awesome. Wishing you and your family a bountiful Thanksgiving and thanks so much for sharing with Full Plate Thursday! I love apples, these look scrumptious! I'll have to pin them for later.